Season from May/15th to September/15th. This is a family friendly snorkeling tour, no diving certification required. 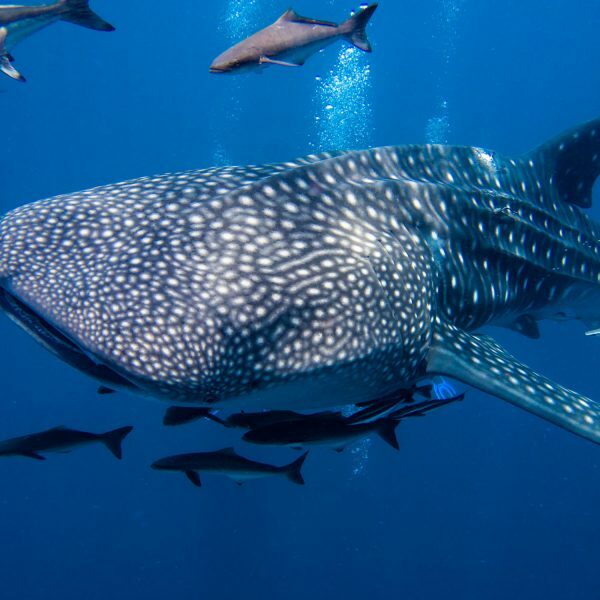 Experience the awesome feeling of swimming with the whale sharks, the biggest fish on Earth. 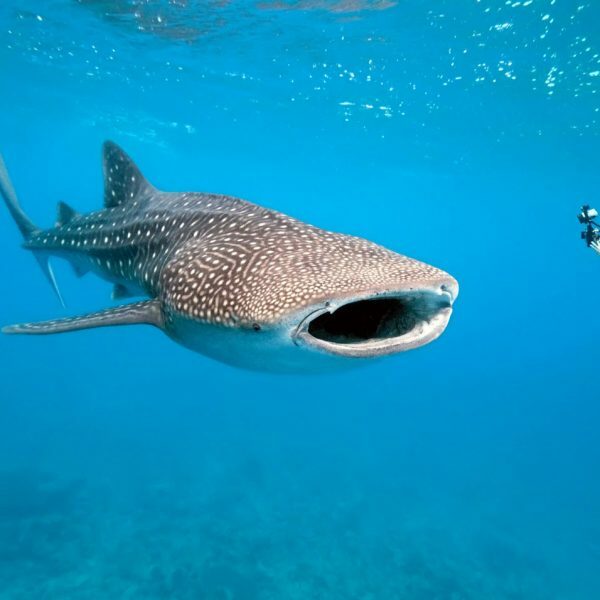 Whale sharks are very friendly, swim gently at the surface, have no teeth and feed just from zooplancton and small fish. And if you are lucky you might get to see manta rays jumping out of the water. Spend a great day with your family at the Caribbean, ride on comfortable fast boats while you enjoy cold beverages and lunch by the beach, attended by very experienced guides. PRICE INCLUDES: Basically everything!! Round transportation from any hotel in the Riviera Maya, coffe/juice/cookies breakfast at the port, experienced guide, snorkeling gear, life vest, cold beverages, beer after snorkeling activity, lunch by the beach, Marine National Parks fee and taxes. SCHEDULE: Pick up is early in the morning, around 7:30 hs in Cancun area, around 6:20 hs in Playa del Carmen town and around 5:20 hs in Tulum town (exact pick up time to be confirmed when booking depending on your hotel location). You'll be back around 15:30 hs in Cancun area, around 16:30 hs in Playa del Carmen town and around 17:30 hs in Tulum town.